We’re a household with several Apple mobile devices. We use a charging station in a corner of our kitchen counter to keep our iPhone and iPad batteries charged and ready to go. My setup is simple. 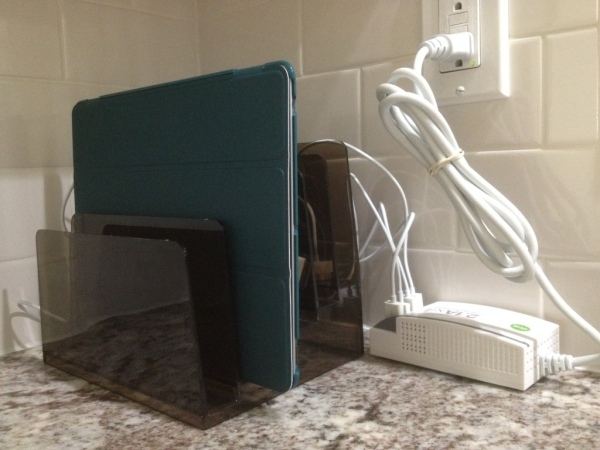 I used an old folder holder or desk organizer for the devices. Any of our iPads will fit in a slot, even with a folio cover. 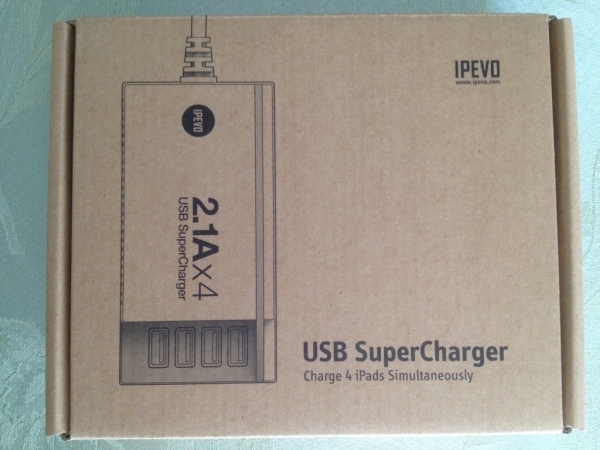 Power is supplied by an IPEVO USB SuperCharger that can charge up to four devices simultaneously. Mine is an older model in white. 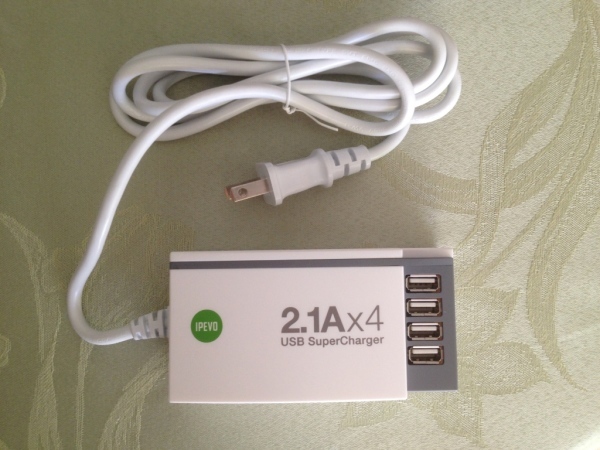 USB chargers are also available from other companies. You’ll need to supply your own cables. IPEVO sells a variety of iPad and iPhone accessories, along with other clever devices for the classroom or meeting room. They ship in consumer friendly cardboard boxes that are also easy on the environment.